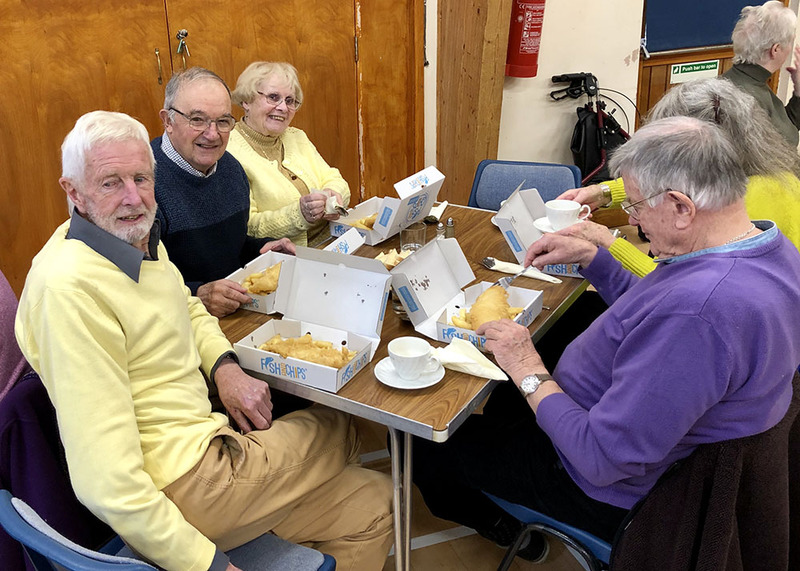 On Friday 18th January 2019 Creech Party in the Park (PIP) provided a free fish and chip lunch for a group of over 60s. 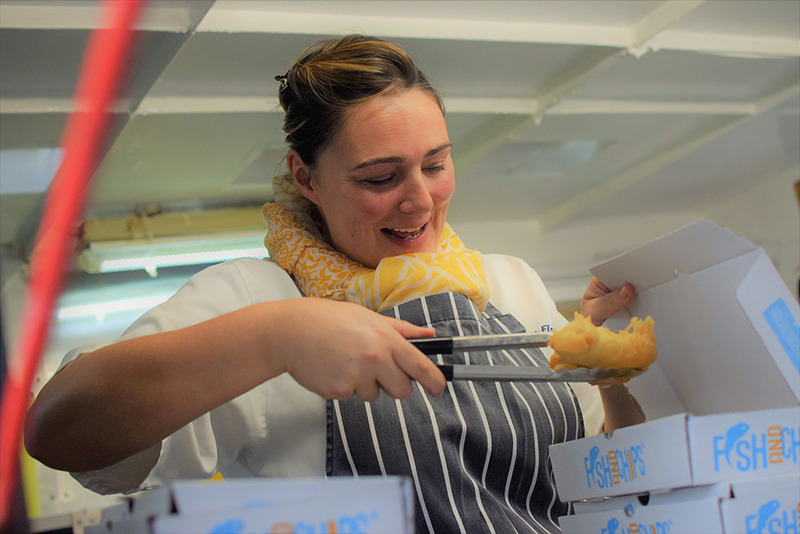 Around 120 locals were treated to a lunch of fish, sausage or veggie burger courtesy of PIP. 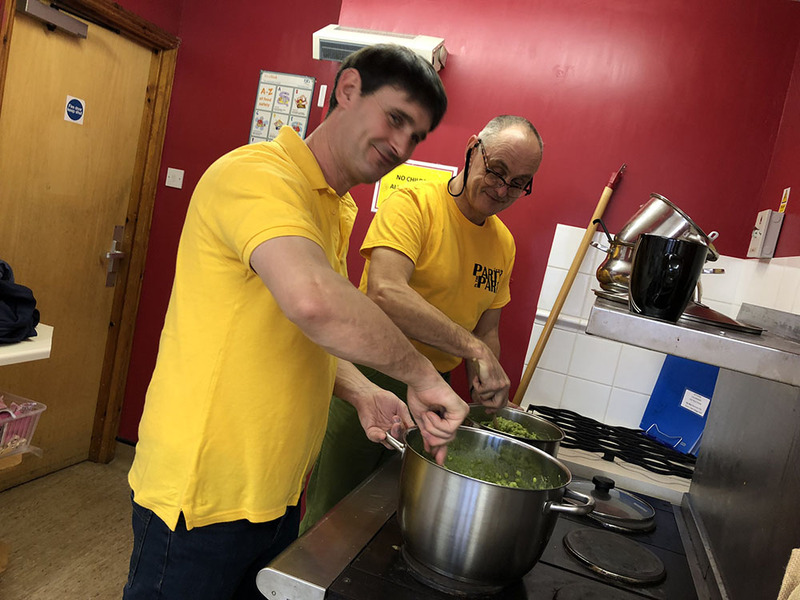 The event was held in the village hall, and Layz Ricks provided the delicious main course. Pudding was a selection of shop bought delights in addition to a lovely home made gluten free cheesecake (thank you Tina!). 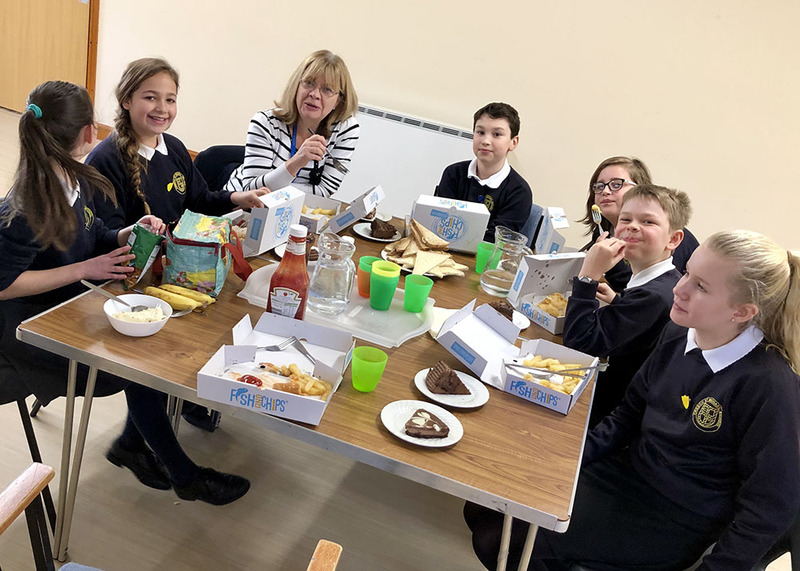 Creech St Michael Primary School sent along six school ambassadors to help serve up the food, accompanied by Mrs Perham and the Headteacher Mrs McCarthy. 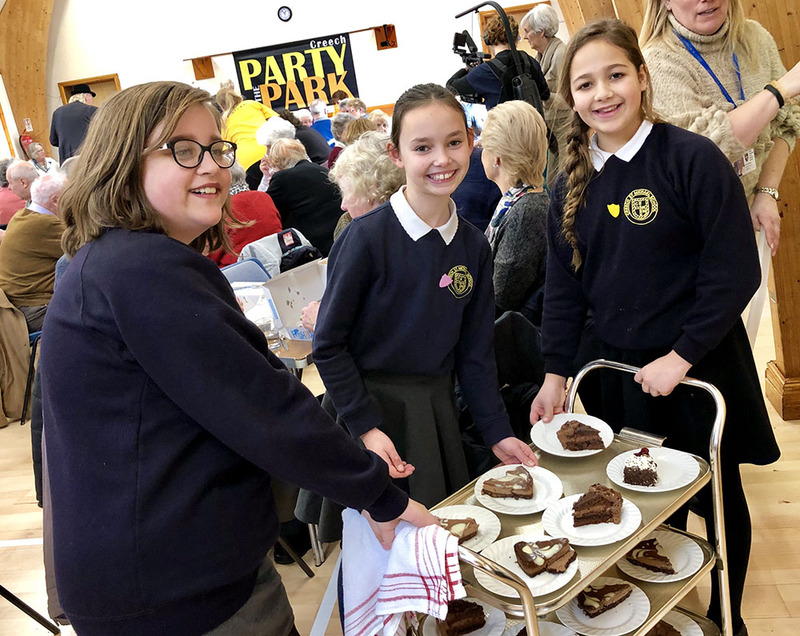 The children did a fantastic job of shuttling the food between the mobile van and the hall and serving up mushy peas, but their favourite job was wheeling round the dessert trolly full of tasty treats! 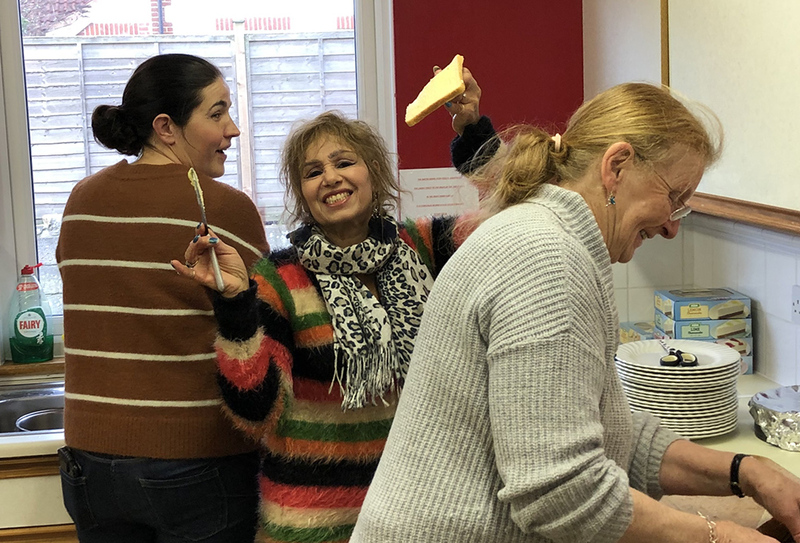 They were treated to lunch and cake afterwards for all their hard work. Following lunch and pudding there was time for a quick cuppa and a biscuit before the bingo started. Several games were played, with boxes of chocolates given out as prizes. 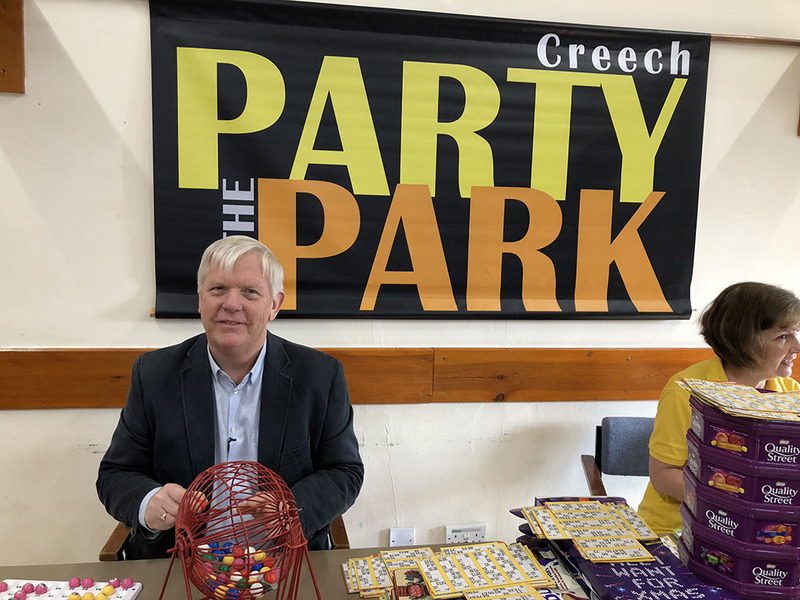 We were once again joined by Somerset County Council leader Cllr David Fothergill who performed outstandingly as the bingo caller, assisted by PIP organiser Clare. A BBC film crew were also in attendance at the event, filming Cllr Fothergill for an upcoming episode of Panorama about Social Care. They interviewed some of the locals too so you may see some familiar faces on TV soon! 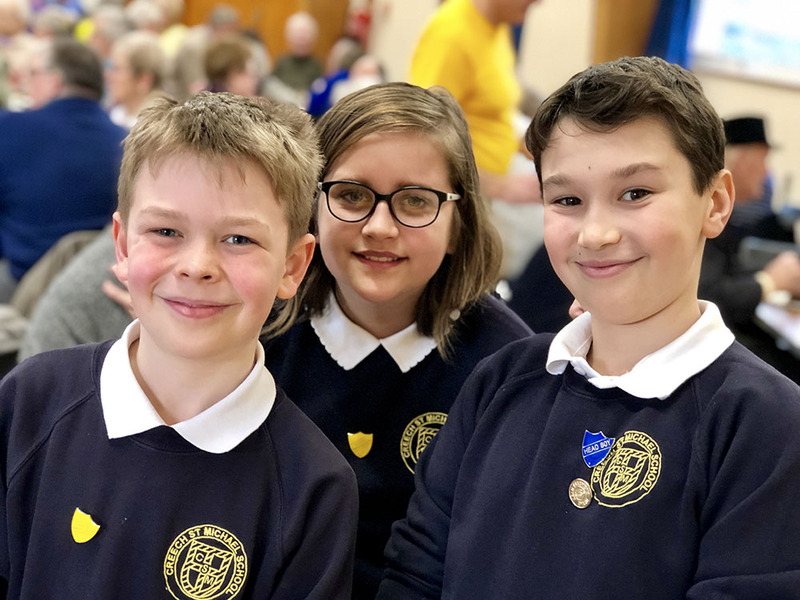 Although not quite up to the BBC standards, we also had our own roving reporters on hand in the form Andrew and Jo who did a fab job of capturing the day in pictures and video. Behind the scenes Gill, Karen, Tina and Renee were hard at work in the kitchen washing up. 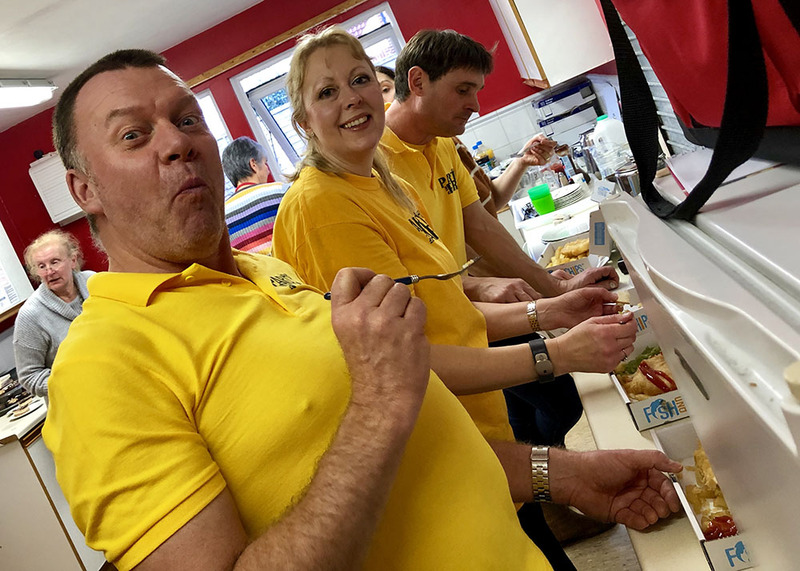 Although we didn’t see them much – we very much appreciate them keeping the mountain of plates under control! The whole event was funded by the proceeds of PIP. As a non-profit event we aim to support good causes in the local area every year. Please let us know if you have any suggestions for groups that could benefit from PIP funds. 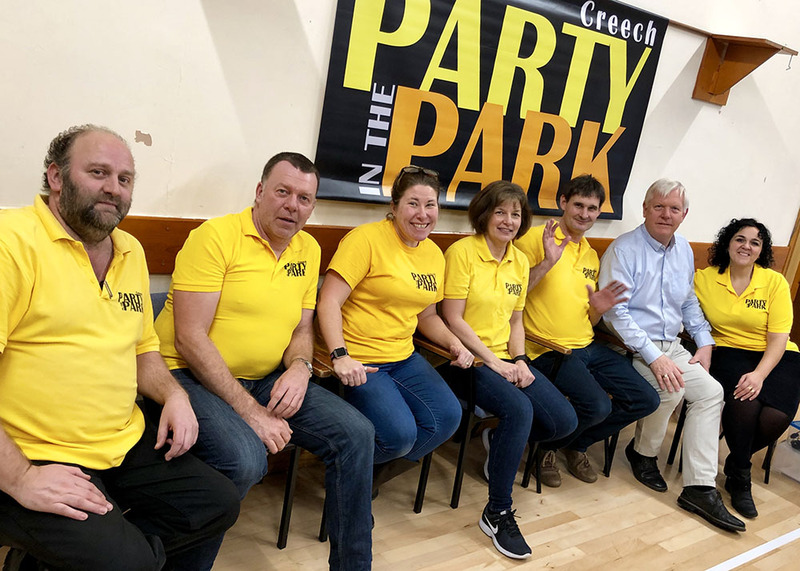 This lunch, and indeed Creech Party in the Park would not be possible without the invaluable help of volunteers, who give up so much of their time. A huge thank you goes to: Adrian, Andrew, Charlie, Clare, Colin, Corinne, David Fothergill, Gemma, Gill, Jo, Karen, Mina, Nigel, Renee, schoolchildren, Simon, Steve and Tina.